Since 2000 the NIMD has supported political parties in over 20 countries. Throughout its 15 years of existence it has commissioned an institutional evaluation at the end of each multi-annual period to evaluate its programmatic and institutional results and capture recommendations for its next multi-annual period. This has led to two institutional evaluation processes and reports, one in 2005 and one in 2010.
integration of gender and diversity across its work. 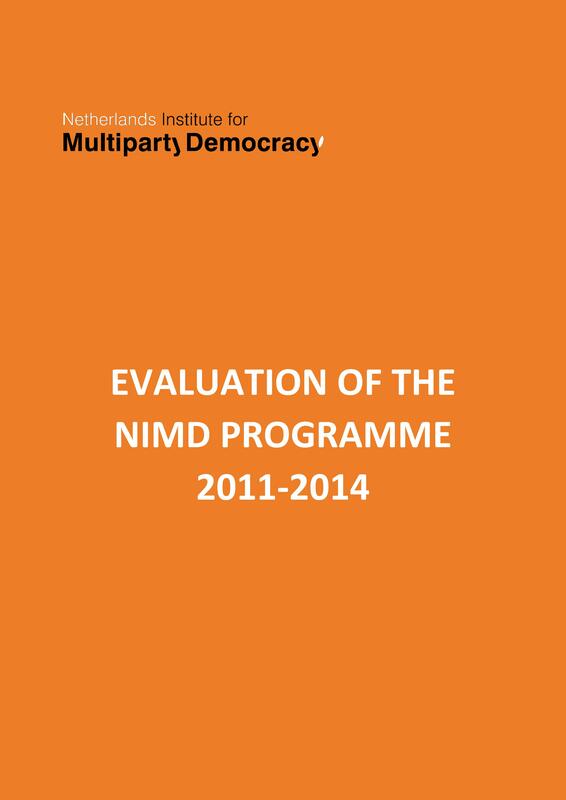 to assess the extent to which the NIMD Multi-Annual Plan, 2012-2015 (MAP); ‘2014 Theory of Change’ and accompanying institutional reforms led to increased effectiveness. to make recommendations on how to further embed or strengthen NIMD’s internal reforms in order to position it as an effective leader in its field. the full NIMD Management Response to the Synthesis Study’s Recommendations (pdf).